It is true that PUO REPORTS crew cannot claim to be perfect, but God has helped us to stand on Truth as we discharged our duties which is strickly on given our numerous Readers first class Information in the political arena in Nigeria. If you followed our Publications from September 1st 2015, you will agree with us that we stood for Truth concerning Bayelsa Election. When we reported that Timipre Sylva was asked not to contest the Bayelsa APC primaries, many people called for the head of our Boss. When we reported on how thugs hijached the September 22 Bayelsa APC Rally, hell was almost let loose. When we reported that Chief Timipre Sylva with the help of the compromised Bayelsa APC Chairman Chief Tiwei Timipa had hijached the Bayelsa APC ticket, we were labelled names. When we reported that Timipre Sylva was desperate for Bayelsa APC ticket because he wanted to control Amaechi and others in South-South zone of the party, we received insults. 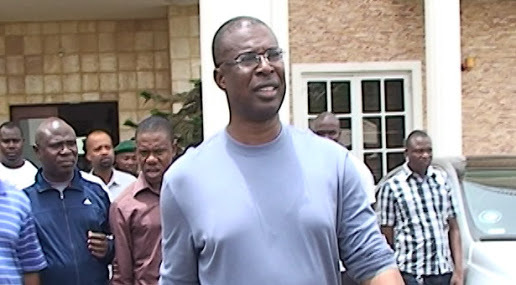 When we reported that Timipre Sylva had lost the Bayelsa Governorship election, many called us Bad names.